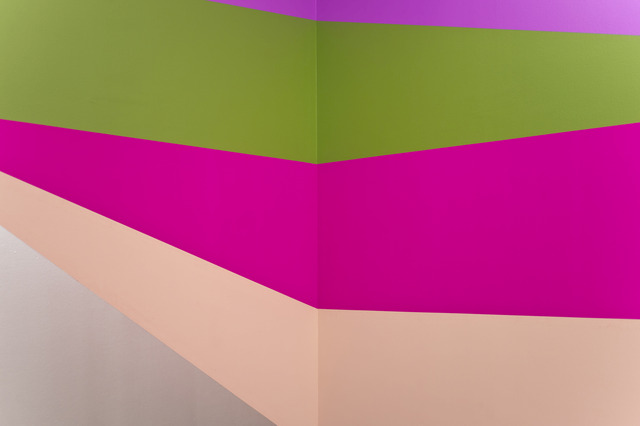 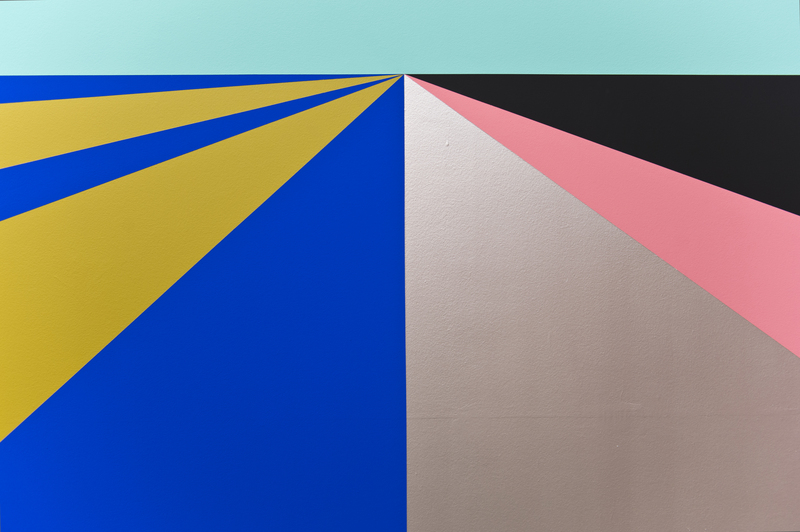 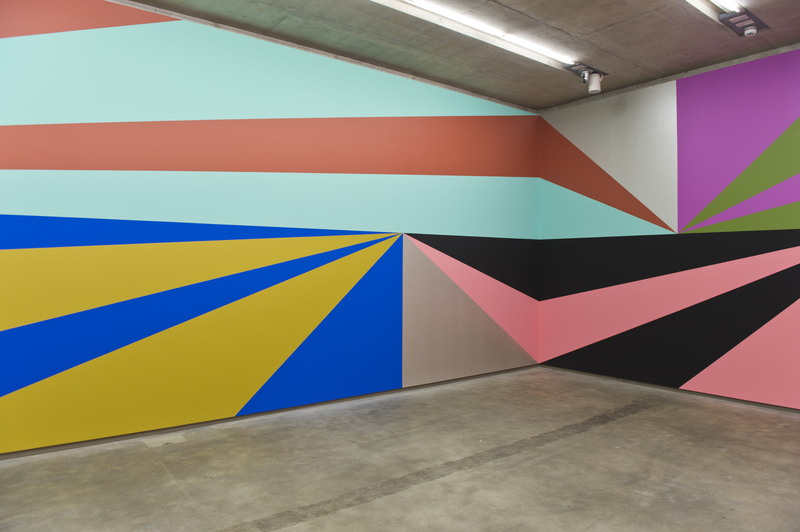 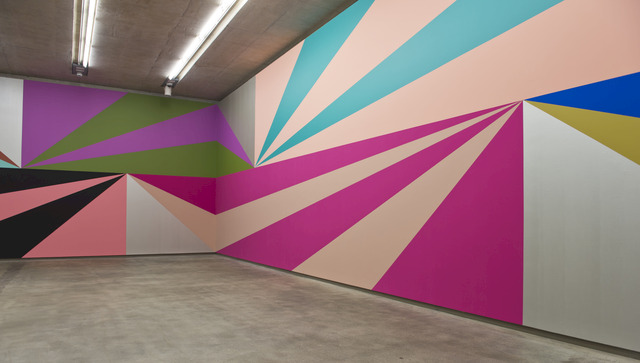 In his work Double-take, specifically created for the Sunken Gallery at the MAC, Götz has made a mural that uses the whole surface of three gallery walls – in what he describes as a “3-D painting” – with fissured, radiating shapes working off a central horizon-type line. 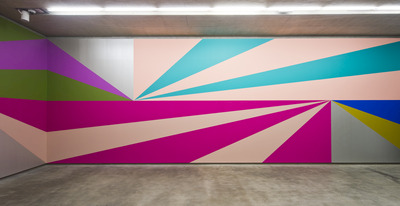 When approached from the upper level, this provides a sense of distance; an opening-out of perspectives for the viewer, which then contrasts with the view as they descend, dipping below this horizon, becoming almost submerged in a space that the artist has described as being akin to an empty swimming pool. In this approach, the artist treats the gallery almost like a theatrical space, a stage whereupon an initial passive viewer quickly steps into the role of an active player within the work.